Back by popular demand! The County Library will host a Mario Kart 8 Video Game Tournament on Thursday, May 30 at 4:30. Register in-person at the library or online by clicking here. 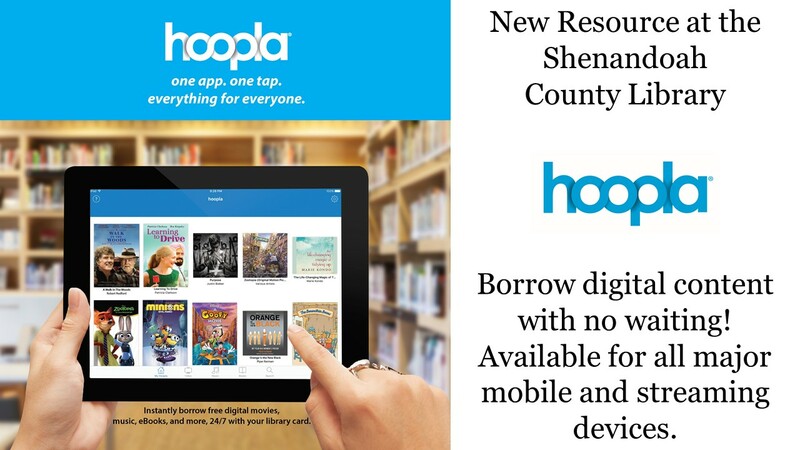 Instantly borrow digital movies, television shows, music, eBooks, and audiobooks--free with your Shenandoah County Library card! To begin, download the hoopla app from your favorite app store or visit www.hoopladigital.com. 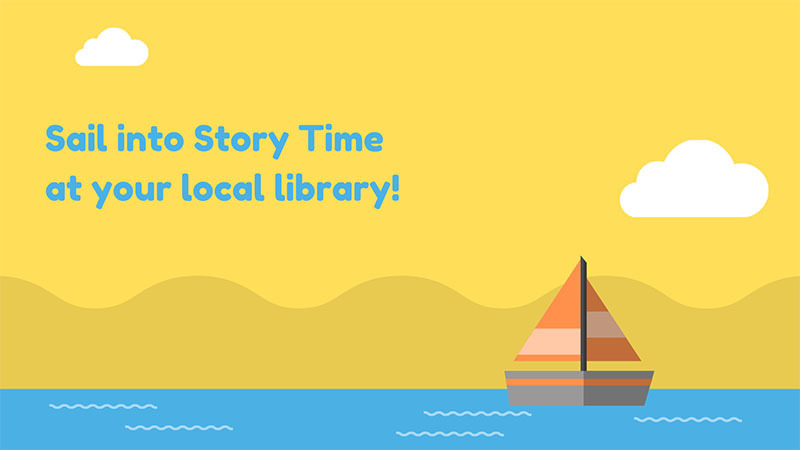 Did you know that we offer story times for children at five of our branches across the county? Check out the calendar of events to find a story time that is just right for your family! 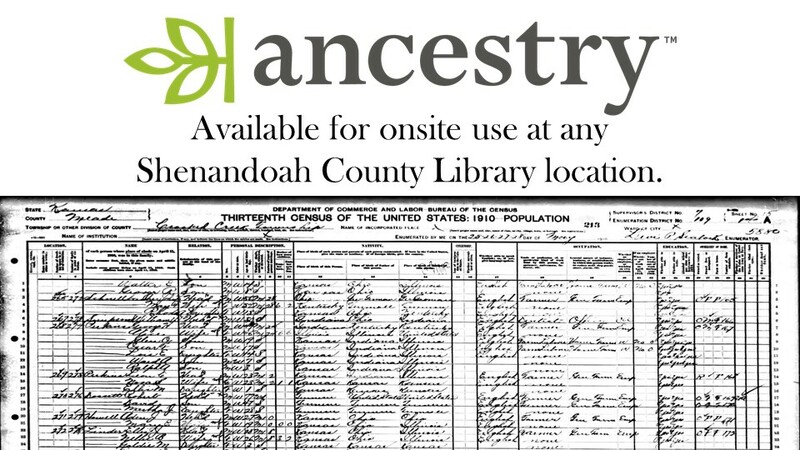 Your Shenandoah County Library Card provides access to a world of reliable online information. Begin your exploration by clicking here. While you're visiting the County Library, be sure to browse through our large collection of sale books. All are in great condition, and most titles are priced at just $2.00 each. All proceeds benefit the Friends of the Shenandoah County Library System.